I took these out today ad in a word I will say great!! Felt just as quick as the IM 78 (even though it is wider) and it feels just slightly stiffer than the IM78. I could bend the tips nicely to tighten the arc and it has a great flex pattern. Will do quick slalom flushes. Feels much thinner than 84mm underfoot. Took it into some crud and chop with some wind buff on it and they skied great and look like my ski of choice in this stuff (but still too many rocks for me to ski more than one run in this with new skis). I really never noticed the tips but they are softer than the IM 78 tips but only in the last 3-4 inches. I see no reason for these but they do not detract from the ski at all. All in all, it's everything I have been looking for, a wider slightly stiffer IM 78. Great ski!! Good review John. Update again when you get some more days in. I'm musing about changing my eastern quiver -- bringing my Mythics out west to stay in Calgary (Banff skiing) as I just don't have much need for them here at home; bringing the Mach 3's that are presently in Calgary back home to Ontario; then getting an 85 to 88 mm ski to fill the all-mtn gap. These have to have some hard snow capability, which is a weakness of the Mythics. The Peak 84 has been in my mind for some time, as I've heard great things. Head seems back on their game after the dumbing down of their iM78 in recent years. I really liked that ski when I rented a pair at Louise a couple of years ago. Others on my short list are the Elan WF 82, Elan Apex, and Fischer Motive 84. If you get the Peak 84 onto some ice, let me know how it handles it. John as a long time proponent of Head 78 what would you say to someone looking to replace a pair of well worn pair of IM78's - The peak pro 78 or 84 as the new everyday go to ski? I still think that the original IM78 is very hard to beat. 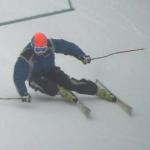 I have not yet skied the Peak 78 Pro. I do think the Peak 84 is as close to the IM 78 as anything that I have skied. I have my trusty SS for groomers. More for the cut up soft bumps & crud of Whistler that toss me around on the SS - & Powder ( PNW Coast type).